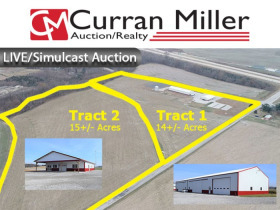 29+/- ACRES OFFERED IN 2 TRACTS w/2,880 SF RETAIL BLDG & 7,500 SF POLE BARN - Dale, IN | Curran Miller Auction/Realty, Inc. 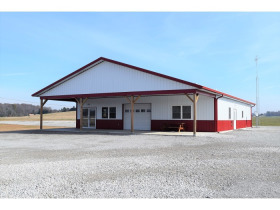 This Live/Simulcast Real Estate Auction Features: 2,880 SF RETAIL BLDG & 7,500 SF POLE BARN ON 29.7 +/- ACRES OFFERED IN 2 TRACTS. The tracts will be offered individually and in combination utilizing the online only Ultimate Choice Bidding Platform. A Bidding Center will open at 10:00 am CT on auction day to provide bidders with assistance using the Ultimate Choice system. The Bidding Center will be located at the property in Dale. Whether you’re an investor or an end user, you won’t want to miss this auction! 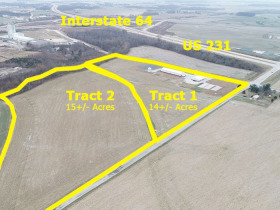 With Superior Ag nearby and the potential development of an energy plant, this is a fantastic opportunity to purchase acreage in a great location with very desirable I-2 zoning. 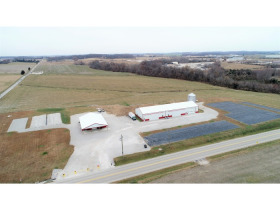 Tract 1: Consists of 14.626 +/- acres improved with two very nice buildings. 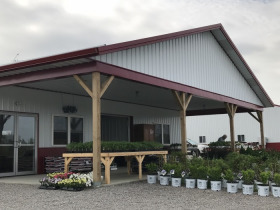 Building #1 contains 2,880 sf with a concrete floor and 2 - 200 amp panels and was has been used as a farm market. Part of the building is used for retail activities. 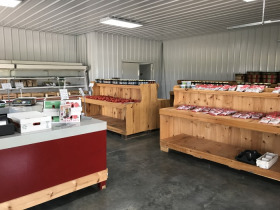 This area contains an overhead door, while the back of the building contains a walk-in cooler, overhead door, prep & storage area, restroom with shower & a break room with kitchen. Possession of retail building will be 30 days after final closing. 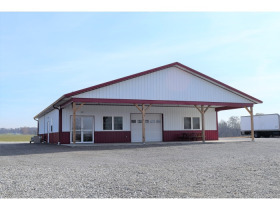 The real estate also contains a versatile 150' x 50' pole building currently used to store machinery. 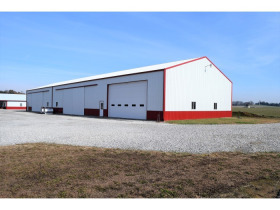 This building has a partial, concrete slab floor, electric & a 24' x 14' overhead door. The building measures 16' tall from floor to bottom of the trusses. Seller would like to rent building until April 1, 2019 for $1,000 / month. 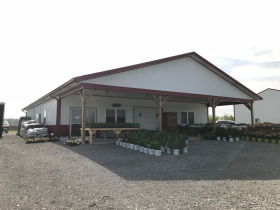 The real estate also features 800 amp, 3 phase electric on the property, natural gas, 12" water line, 300 gallon commercial septic system that is state inspected. The grain bin, walk-in cooler and appliances (washer, dryer, stove & refrigerator) are not included in the sale. 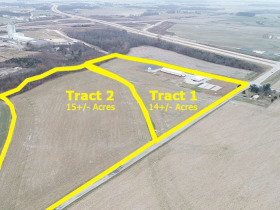 Tract 2: Consists of 15.155 +/- acres of tillable land currently planted in wheat. 21 +/- acres total are currently planted in wheat, which will be harvested in June 2019. 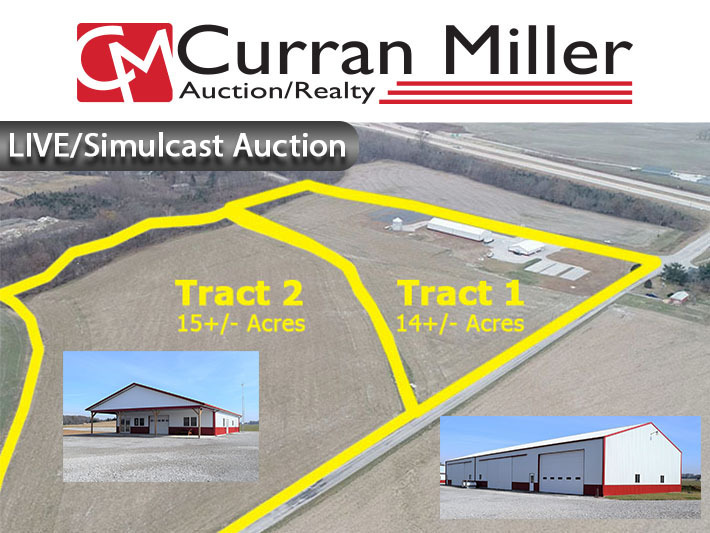 Seller will pay Purchaser crop rent of $175 / acre for 2019. Possession of tillable land will be given after crop has been harvested. The tracts will be offered individually and in combination utilizing the online Ultimate Choice Bidding Platform. •	A non-refundable, earnest money deposit of 10% is due day of auction, within 24 hours of the auction conclusion if online bidding, with the balance due within 30 days. •	Possession of the tillable land will be given after 2019 wheat crop is harvest. Possession of the retail building will be given 30 days after final closing. Possession of the pole building will be given April 1, 2019 with the Seller renting the building for $1,000 month. •	This LIVE/Simulcast auction is not contingent on or subject to financing, appraisal, survey or inspections of any kind, as agreed to by Bidder and or Buyers at registration prior to bidding.  •	5% Buyer’s Premium will be added to the high bid to establish the purchase price.